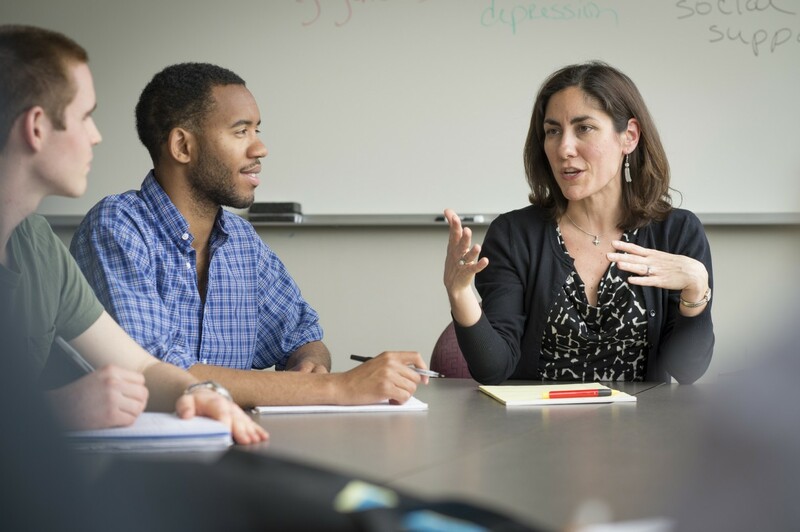 Majoring in psychology opens the door to a world of possibilities, and OWU psychology alumni are doing vital work in many fields across the country. 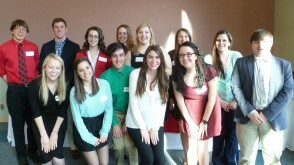 Psychology majors collect and analyze data and learn to communicate the observed trends. 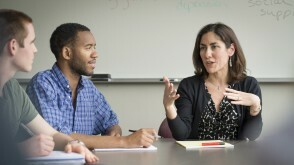 Many also engage in unique projects with professors. 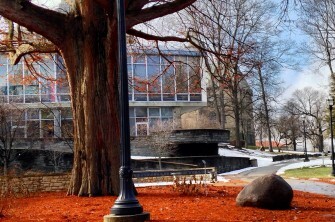 Ohio Weslyan's Psychology program is highly regarded for excellent teaching and research opportunities for students. 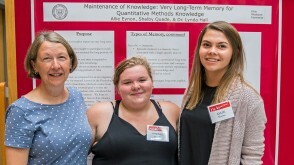 In fact, College Factual in 2019 ranked OWU's Psychology program in the top 11% of all colleges and universities in America as a "Best Value for the Money" program. from the biological bases of visual perception to the therapeutic means of treating people with schizophrenia. You will complete courses that span the breadth of the field, but you'll also have the freedom to choose from a number of courses to fulfill those requirements. Many students combine their psychology major or minor with a major in another field. 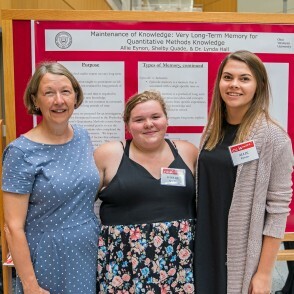 Independent research is a central element of The OWU Connection. 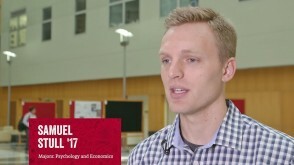 Students have the opportunity to connect one-on-one with faculty to pursue their research interests and to create new knowledge. 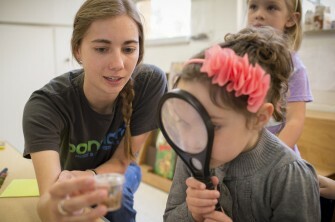 Some students may contribute to ongoing research investigations in a faculty member’s lab; others design an investigation of a research question of their own interest. 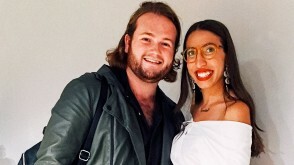 These collaborations may last more than one semester, and students with very strong projects may present their results at professional conferences. 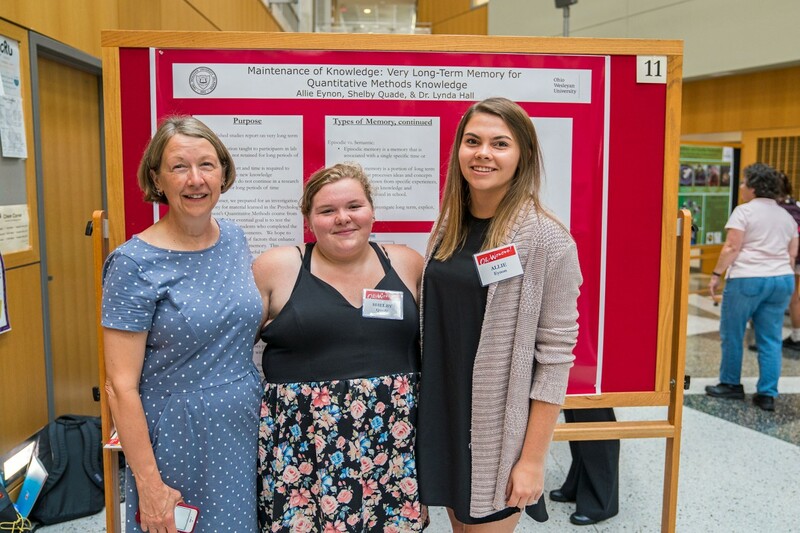 Allie Eynon '19 and Shelby Quade '18 contributed to a psychological investigation of memory. They developed materials for an online memory test that measures the amount of knowledge students from 1992 to 2017 retained from a Quantitative Methods course. Professor Lynda Hall was their mentor. 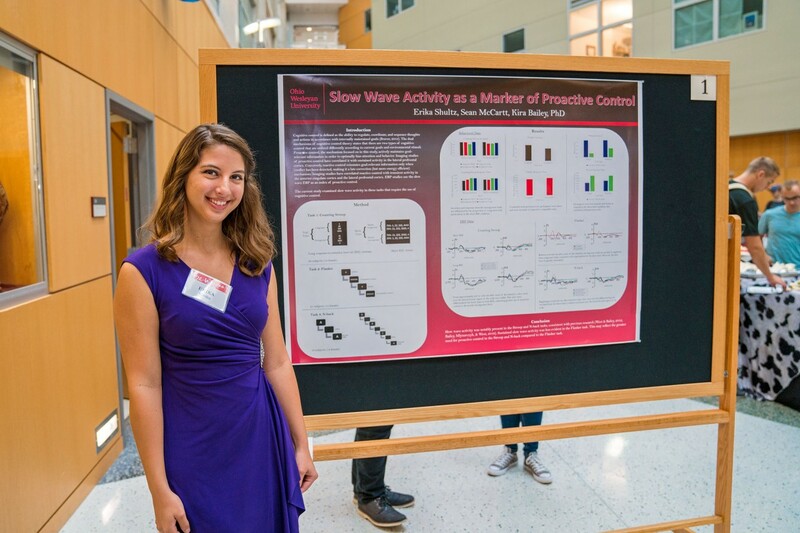 Erika Shultz '18 reproduced and extended previous experiments that measured the brain waves of subjects while they completed certain tasks. These experiments support the theory that, depending on our goals, our brain activity switches between proactive and reactive control. Her mentor was Professor Kira Bailey. 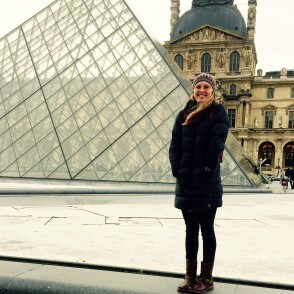 Psychology and French major Emma Beale '17 used a grant for signature projects to study terrorism in France from multiple angles, including patriarchy within terrorist organizations, the prison system and terrorist recruitment, and the role of propaganda and media coverage. 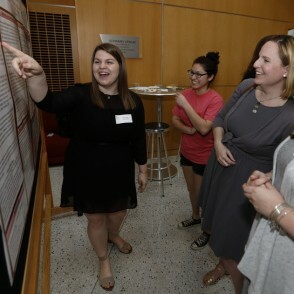 Morgan Christie '16 worked with Professor Sarah Bunnell to examine the types of messages transmitted by ethnic minority and majority parents to their adolescents regarding race and how these messages prepare adolescents to cope with discriminatory experiences. No matter what your interest or major, there’s likely a valuable internship for you through The OWU Connection. Ohio Wesleyan students intern in governmental agencies, private sector business and legal firms, nonprofit advocacy organizations, medical & scientific research facilities, media outlets, think tanks, and more. Samuel Stull's '17 internship at Nationwide Children's hospital led to a research project with Professor Kira Bailey on hepatitis C and opiod abuse. 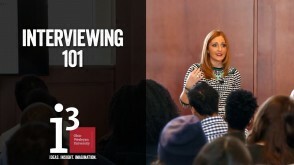 Interviewing 101: Who Is that Chameleon in the Mirror? 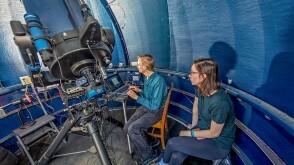 You’ll do much of your research at Phillips Hall, which provides approximately 3,000 square feet for empirical research and clinical observation You’ll have the opportunity to learn state of the art methodologies and procedures, with labs equipped with computers to measures reaction times, and EEG and virtual reality equipment. If you’re interested in developmental psychology, you can gain experience in OWU’s Early Childhood Center, a preschool run jointly by the psychology and education departments. The school enrolls more than 100 children and serves as a laboratory and observation center. It’s the ultimate on-campus theory-to-practice learning. If you want to gain real-world experience, we offer a large number ofinternship opportunities. You can spend 120-150 hours per semester working in a job relevant to your interests in psychology. 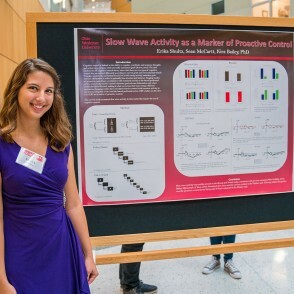 Recent student placements have included: Delaware Speech and Hearing Center, Delaware City Schools, Nationwide Children’s Hospital, Maryhaven Delaware, and Helpline, Inc.
Ohio Wesleyan’s unique 10-week Summer Science Research Program offers students the opportunity to carry out cutting-edge research side by side with faculty mentors. 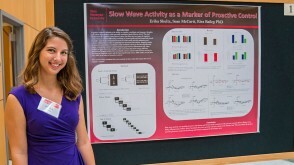 Students and faculty are fully engaged partners in research projects that are ideal preparation for graduate studies. A double major in Psychology and Economics, Shaaref earned his master's degree in Behavioral & Decision Sciences at the University of Pennsylvania, and he is now a Research Associate at the Harvard Business School. Jacqueline Barker ’08, is a faculty member in the Department of Pharmacology & Physiology at Drexel University College of Medicine. She earned her Ph.D. in Neuroscience from Yale. After OWU, Hairong Jiang ’12 earned a Ph.D. in Industrial & Organizational Psychology from Florida Institute of Technology, and she now is a research scientist at the Institute for Cross Cultural Management in Melbourne, Florida. OWU alum and sport psychologist Nicole Detling ’97, Ph.D., has worked with Olympic athletes since 2008. In 2010 she was a member of Team U.S.A. with the U.S. Short Track team in Vancouver, when all 10 skaters won medals. 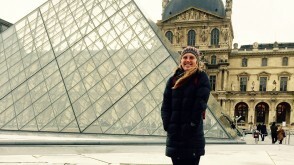 In 2014 she was part of the American team in Sochi, working as a sport psychology consultant with the U.S. Freestyle Aerials Ski Team. 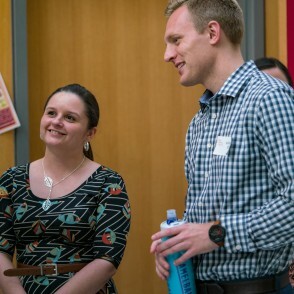 Nicole works at HeadStrong Consulting, LLC, in South Jordan, Utah. 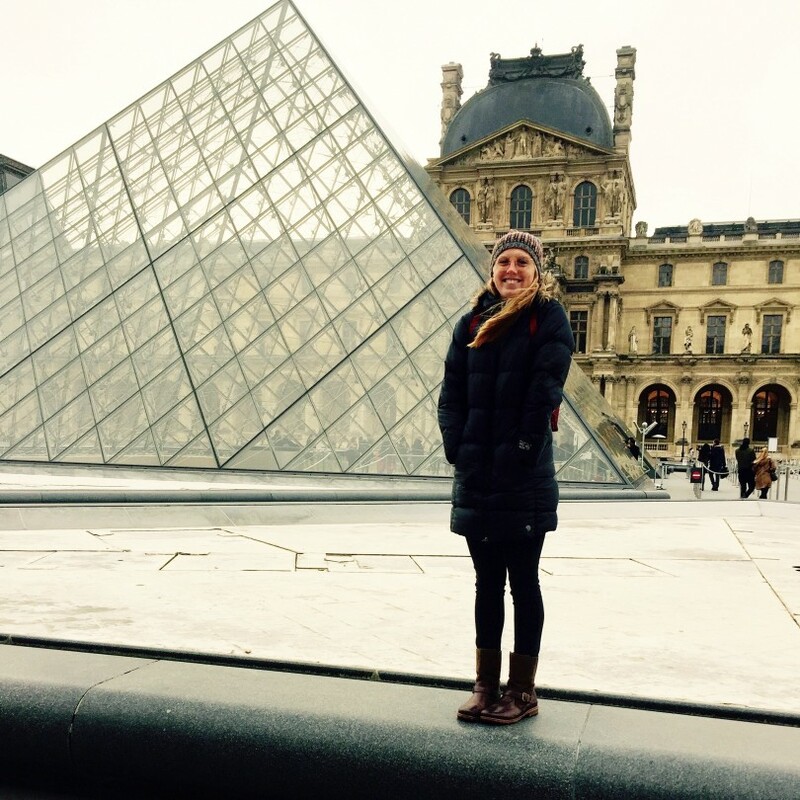 Haley Schafer ’15 is a practice assistant at the UCSF Medical Center in San Francisco. 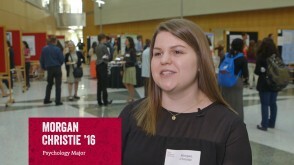 Madeline Demo-Danaberg ’16 is a clinical research specialist at the Indiana University School of Medicine. 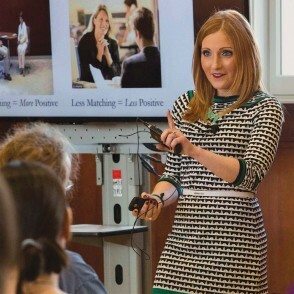 And Morgan Christie ’16 is in the Counseling Psychology Ph.D. program at Southern Illinois University. The research, communication, and analytical skills of psychology graduates can make them valuable in service industries and public affairs. 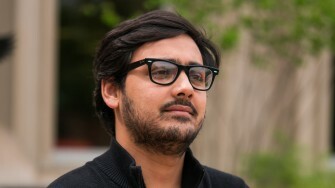 Psychology graduate Diego Espino ’04 is Vice President of Community Engagement with Planned Parenthood of Central Ohio. Christine Watchorn '94 earned a law degree at Capital University and in 2018 was named a "Woman Worth Watching" by "Profiles in Diversity Journal." 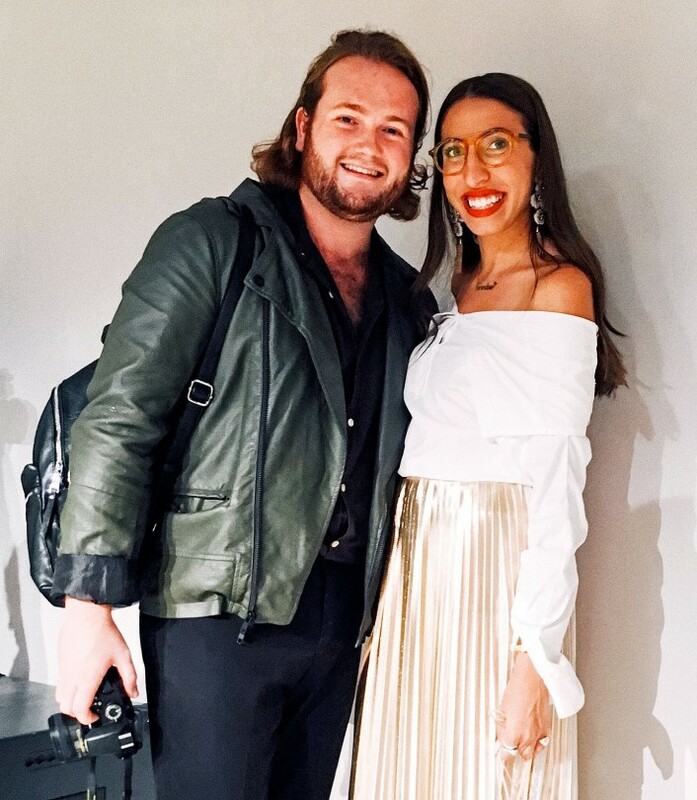 Psychology major Mac Willard '18 received a Theory-to-Practice Grant to work as a summer intern for fashion editor Caroline Vazzana. 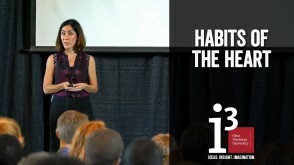 I-Cubed Lecture by Ohio Wesleyan Assistant Professor of Psychology Melanie Henderson. 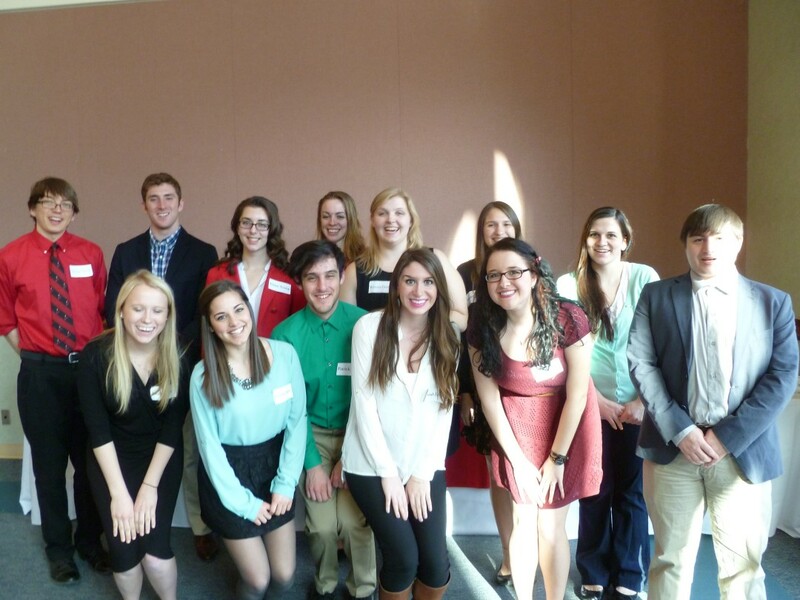 OWU classes are small, with a student-to-faculty ratio of 11:1. 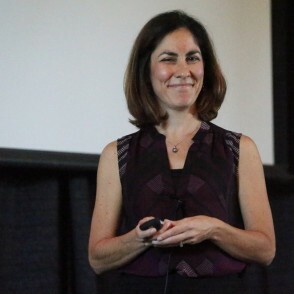 I-Cubed lecture by Ohio Wesleyan Professor of Psychology Vicki DiLillo. 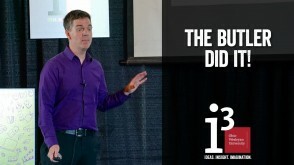 Would your internal butler make you say "bomb" in the airport? Is he racist? A micro-lecture with Ohio Wesleyan University Psychology Professor Kyle Smith.